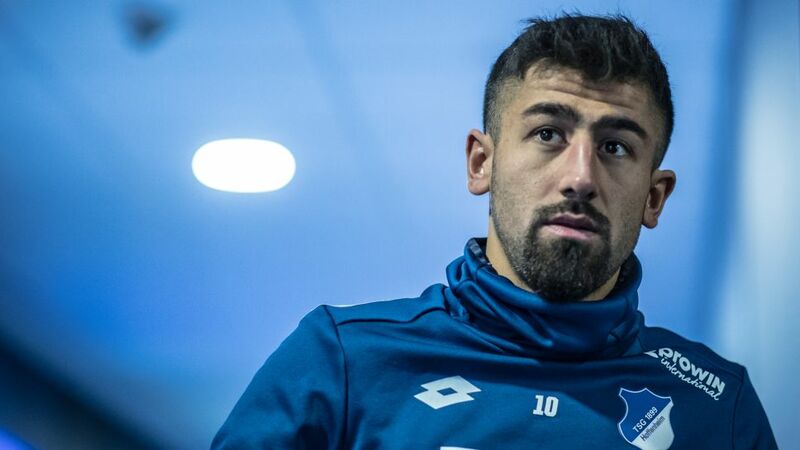 Having helped Hoffenheim qualify for the Champions League for the first time in the club's history, and despite a season dampened by injury, Kerem Demirbay's remains bright, and in the blue of his current Bundesliga club. By signing a new contract until 2022, the artful midfielder has put the icing on the cake of a breathless 18 months in Sinsheim, but could have easily taken a different turn. Now a household name around Germany, just two years ago, Demirbay was barely known outside his own living room. In 2015/16, Demirbay finished 14th in Bundesliga 2 with Fortuna Düsseldorf, his ten goals making up almost a third of their total as relegation was avoided by just three points. A year before, he only narrowly missed out on promotion to the Bundesliga with Kaiserslautern after having already graced Germany’s greatest stage three times with Hamburg. There, he was primarily involved in the club’s reserve team, gaining his stripes with three goals in five fourth-division appearances in the 2014/15. Germany or Turkey? That was the next question. Despite playing in two friendlies for Turkey’s Under-21s four years earlier, the German-born Demirbay opted for the 2014 World Cup champions. He made his first appearance for Die Mannschaft as a substitute in a friendly against Denmark in early June 2017. Just a few weeks later he truly announced his arrival on the international stage with his maiden goal on his first start for his country - a now trademark thumping effort from outside the box - as Germany beat Cameroon 3-1 at the Confederations Cup en route to lifting the title. It is little wonder Turkey were so keen to claim him as their own. The ankle injury he sustained in the Matchday 21 draw with Hertha Berlin ruled Demirbay out ever since, but his return to training at the end of March means that he could return before the end of the season, with time running out for him to show he deserves a spot for Joachim Löw's World Cup squad this summer. Should he feature once again in Russia for the reigning world champions, it would be the crowning moment of a career that — if his fairytale journey so far is anything to go by — will continue to go from strength to strength.